This is the only scent I use for all of my bathrooms. It smells absolutely divine! This was the first candle I bought from L'Occitane and I'm so pleased with it. Burn time for me has been over 17 hours and the scent is strong and hasn't faded. I've been so disappointed with popular branded candles as they smell divine when they're not lit, but when they are lit, there's no scent at all. 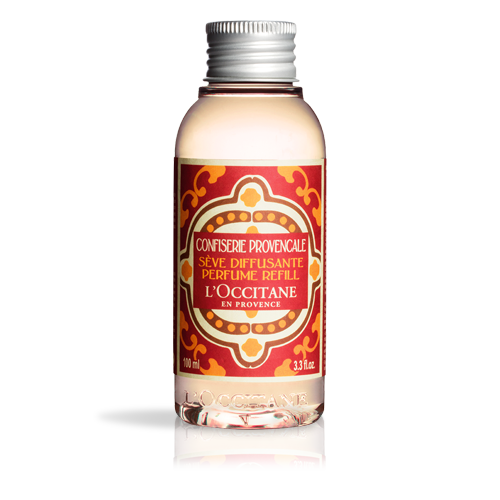 I can definitely recommend this and will continue buying candles from L'Occitane. One of the nicest scents for the home, one I have bought in the past and will continue to buy (I previously bought the incense, which is no longer offered, but it too had the scent I loved). Try this-- the scent of the wax matches the scent of the lit candle, so you can judge the scent easily. Burns nicely too. I have to say, my mother used to buy L'occitane candles for years and they burnt down really well and just smelt fantastic. However, this candle has been extremely poor, it just melted straight down the middle and left all the wax around it, which could make up another candles worth!! Very very poor, not something I Would expect from L'occitane.